Householders have been warned they could face a fine of up to £5,000 if they cause a nuisance by burning rubbish in their gardens. 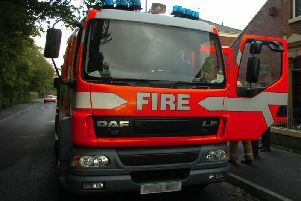 A fire crew was called out to extinguish a blaze at the rear of a house in Harcourt Road, Lancaster at around 9.30 last night. Black smoke from the fire upset neighbours who had their bedroom windows open on a warm night. And today the fire brigade urged people to be considerate to others before settting rubbish alight. “Householders should realise that they can face a heavy fine - up to £5,000 - for doing this,” said crew manager John Holmes at Lancaster fire station. “If it is persistent we can report them to the council and get them prosecuted. “The council has arrangements for removing household rubbish. There is no need for people to burn it in their gardens. “The fire last night looked to have started with wood, but then some plastic and other stuff had been thrown on, producing thick black smoke.